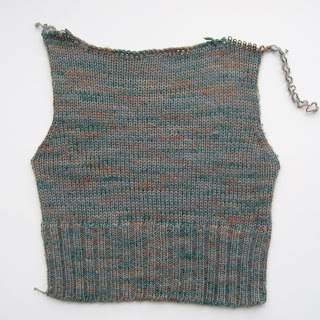 You've had a few days to get some quality thrifting in and scoop up a gorgeous sweater or two (read how to shoose your sweaters here) -- now it's time for getting your snip-snip on! 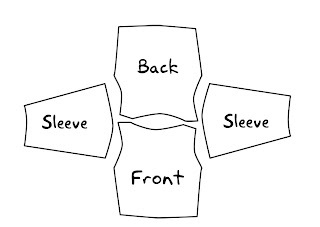 But before we get crazy witht he craft supplies, let's sit back and take a little sweater anatomy lesson. 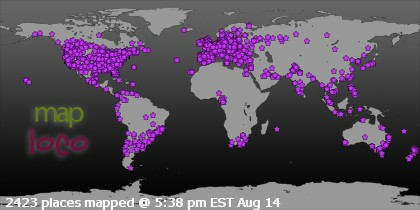 Pretty self explanatory, right? But only if you've made (or taken apart) a sweater before! 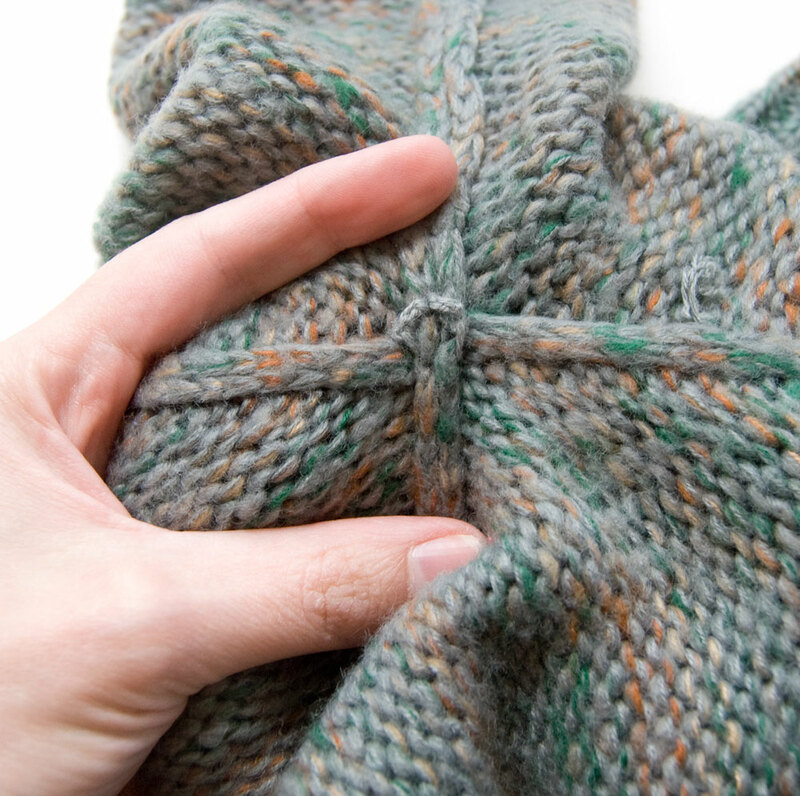 So now that you know what keeps a sweater together... let's take a closer look at those seams. 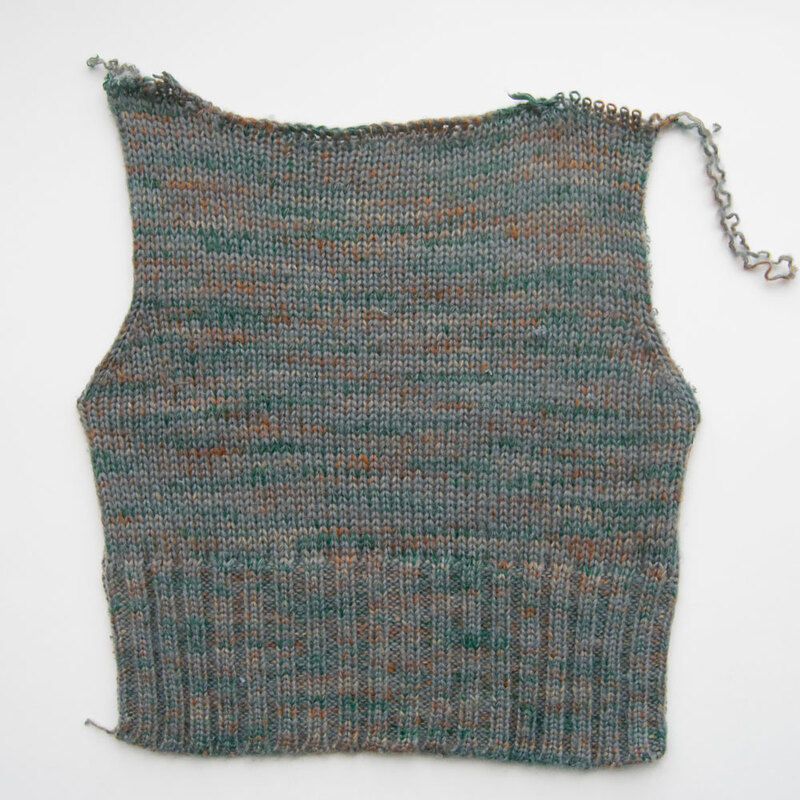 Turn your sweater inside-out and head straight for the arm pit. 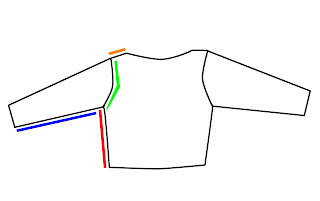 Follow the seam up from the hip until you reach a cross (like the picture on the right). Find a place where you want to dig in and take one of the two ribs of fabric in each hand. Pull them gently apart and you should be able to just see some small stitches. THAT is where you want to put your scissors in! 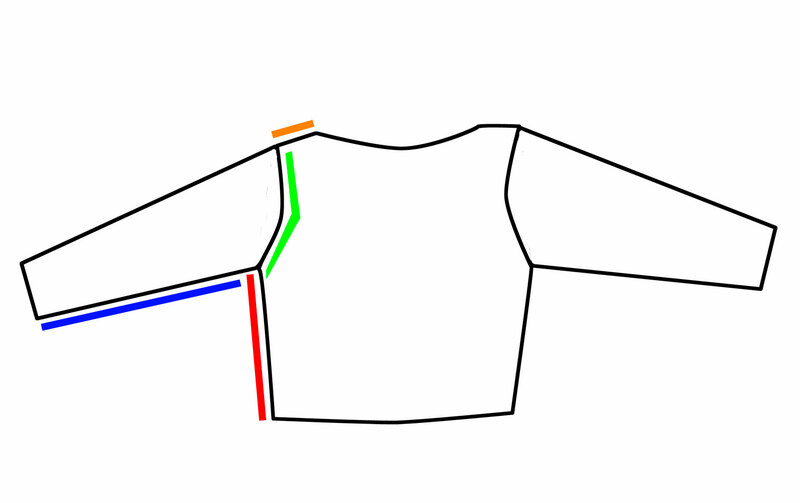 Continue along the length of the seam, snipping an inch or so at a time and then pulling the seam apart again. Because the seams are often knitted, you may even get lucky and just be able to pull them apart -- but don't force it if it's not coming easily. 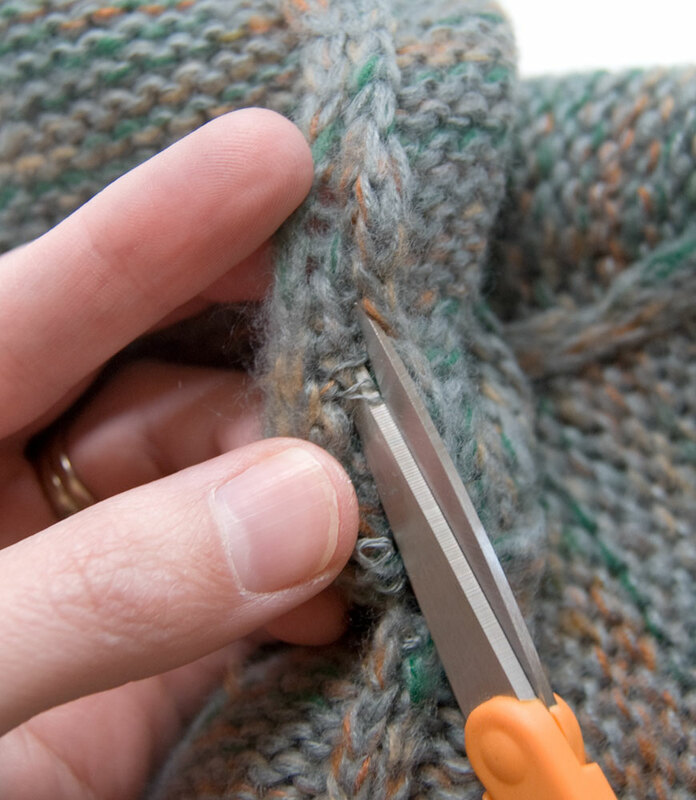 You're better off using your scissors and avoiding the chance of stretching out our otherwise messing up the yarn. 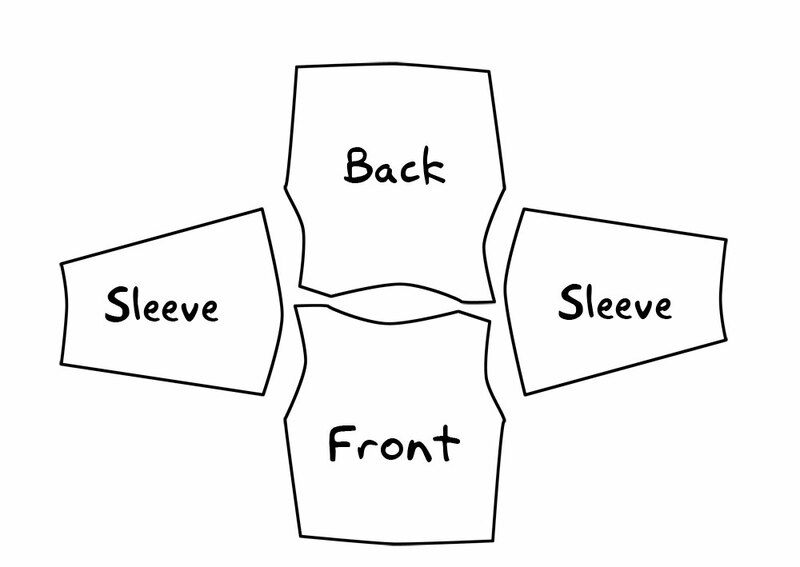 Once you've split all the seams, you should have pieces like the ones shown in the diagram above. Again, I'll give you a couple days to get through this part than then we're off to ball some yarn!